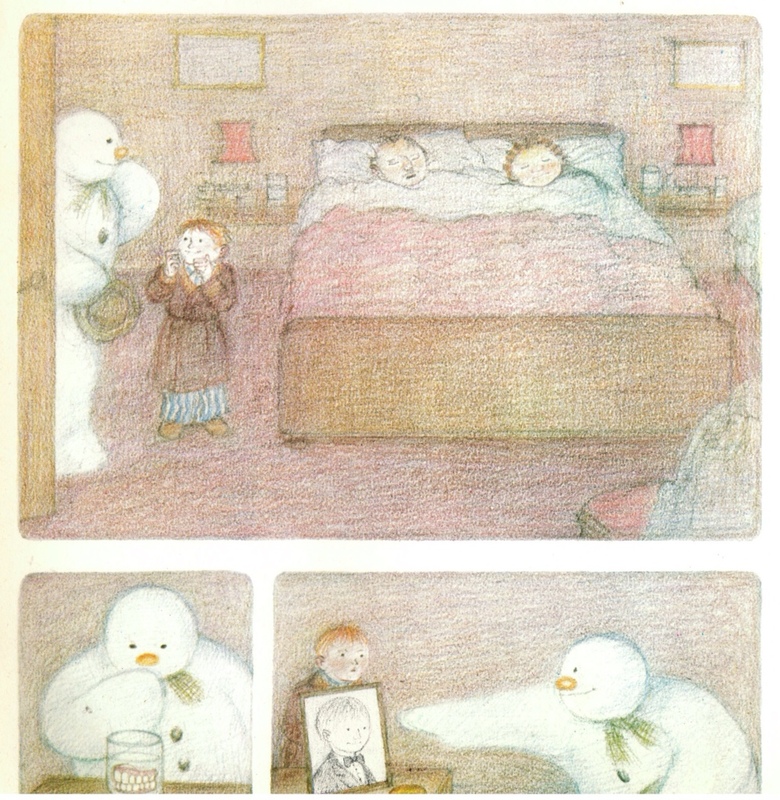 After two years and 55 advent blog posts I'm finally get round to writing about Raymond Briggs’ The Snowman. 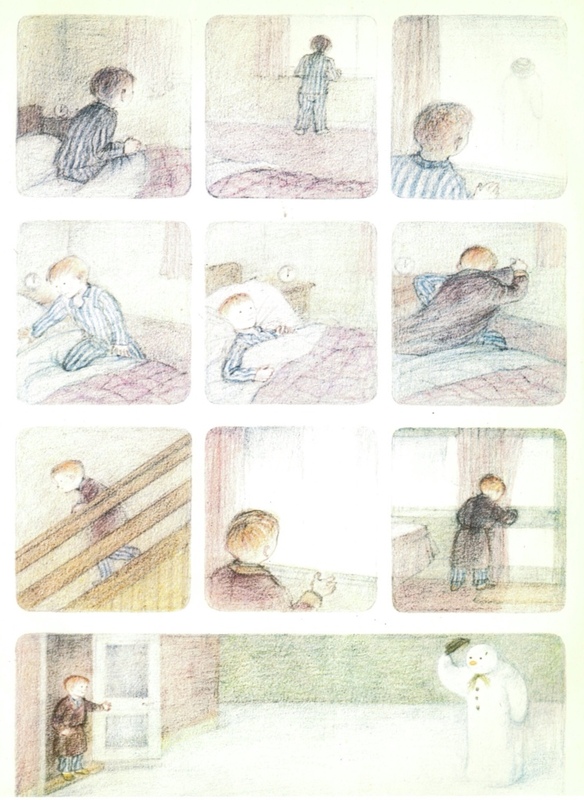 I’ve kind of been avoiding the book. It's not because I don’t like it, but rather that I’ve always thought, what more is there to say about a book that everybody knows inside out and back to front? 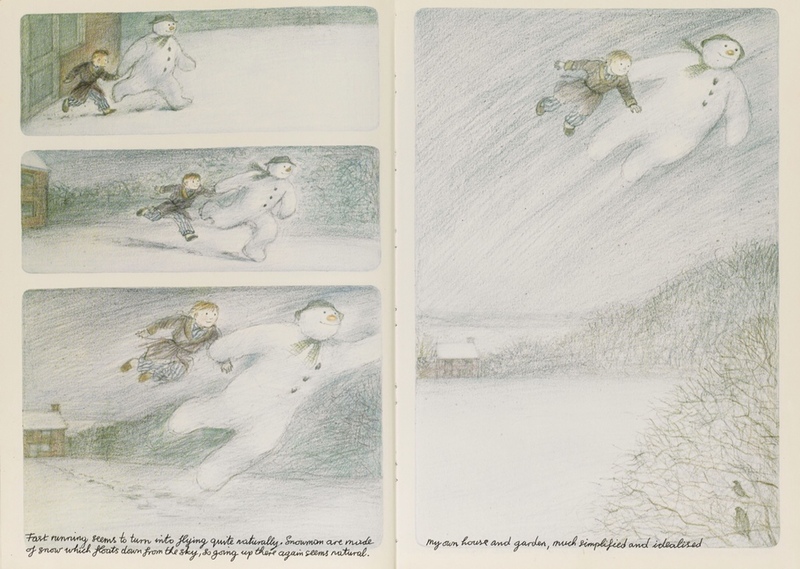 Happily, Quentin Blake’s charity the House of Illustration, which uses illustration to help develop literacy, creativity and communication, is auctioning off an annotated first edition of The Snowman today. So I thought I'd look at it through Brigg’s comments, which are both funny and rather revealing of the man and his story. In fact the story originally wasn’t even necessarily set at Christmas – it was the film makers who added the Christmas trees and a Father Christmas who is far more jolly that Briggs own grumpy creation. This internal logic extends to the classic conclusion. The snowman melts. All things must pass. 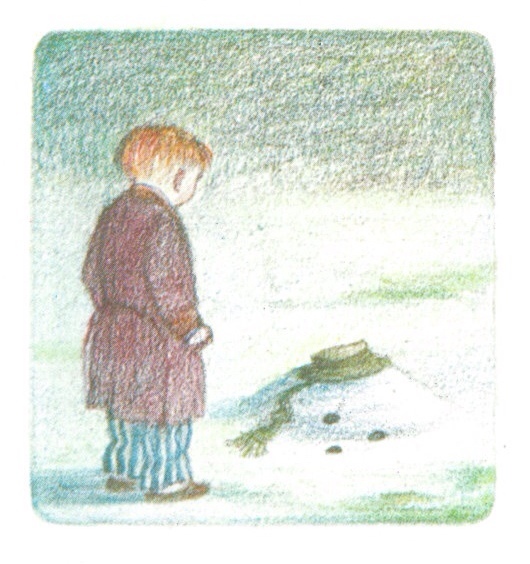 The final image, a single panel surrounded by white paper is still supremely powerful: The boy stands with his back to us staring at the remains of the snowman. The reader, looking the same way, is invited to stand in his shoes (or slippers) and face the hard reality of what comes to us all. 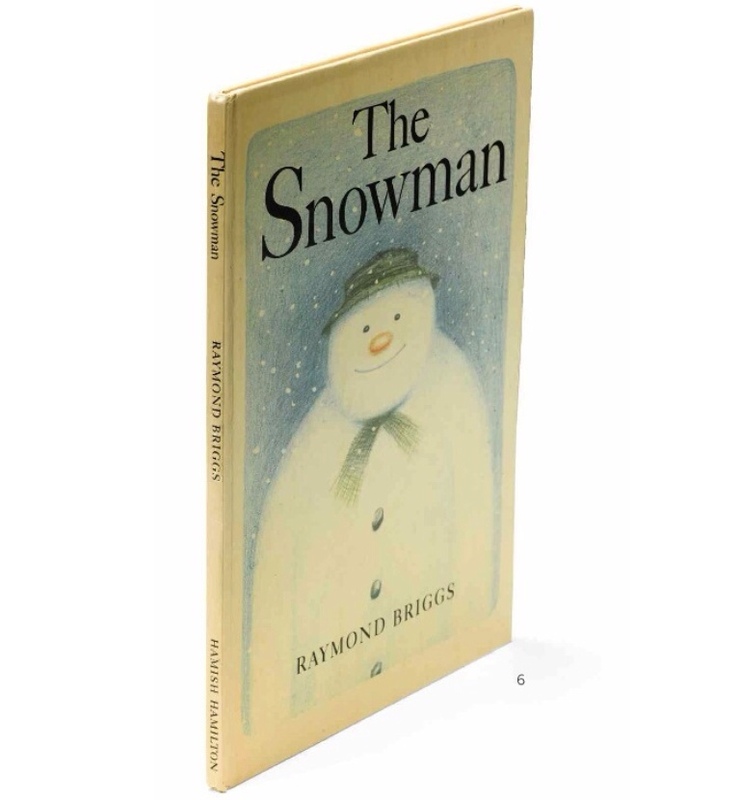 Good luck to everyone who bids on The Snowman and the many other brilliant books this evening, it’s for a fantastically worthy cause. 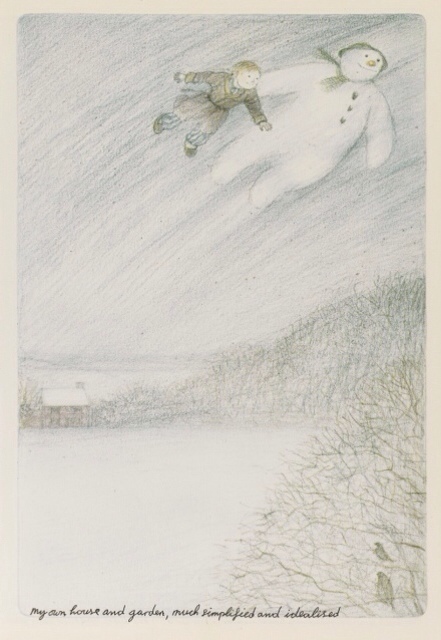 If you hurry down to Sothebys today (Dec 8th) you can still catch an exhibition featuring The Snowman and books including The Tiger Who Came to Tea, Paddington and Charlie and the Chocolate Factory. Alternatively why not make your very own Snowman, courtesy of Bradford on Avon Mum? 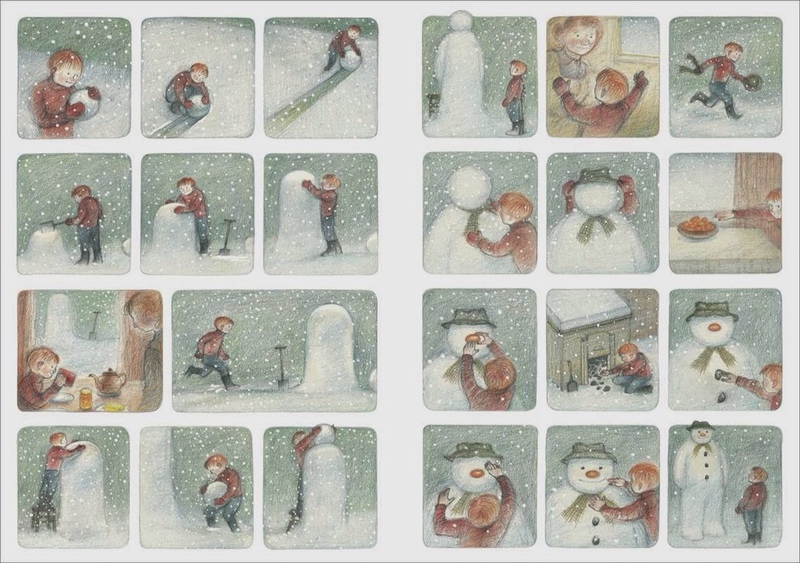 Tags: Father Christmas, Quentin Blake, Raymond Briggs, The Snowman. Bookmark the permalink.